Rev. 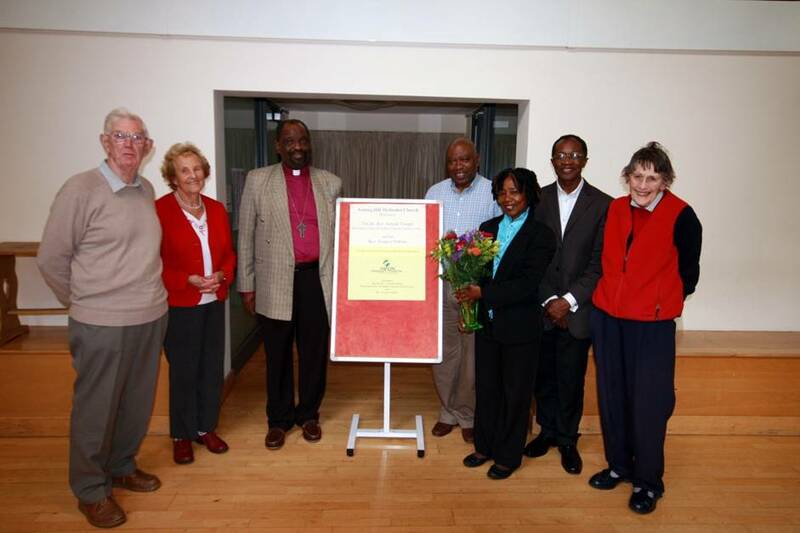 Temple was officially in the UK to attend the British Methodist Conference, held in Plymouth in July. He included in his busy schedule a meeting with FofN Trustees at Notting Hill Methodist Church. He was joined by Rev. Francis Nabieu, former President of the Methodist Church, Sierra Leone, who is now ministering in the Methodist Church in York. Rev. Temple met Trustees to help clarify the role the charity could play in the development of Nixon Memorial Hospital and refine the process by which funding would take place. The two hour meeting, Chaired by Rev. Colin Rowe resulted in a mutually acceptable agreement which defined the basis of partnership between the Trustees, the Nixon Memorial Hospital Board and the Methodist Conference in Sierra Leone. The gathering took place a year after the President formally launched the charity in Evesham. 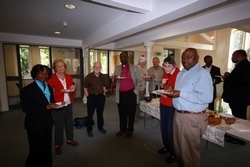 The guests and trustees were joined by the Minister and Treasurer of Notting Hill Methodist Church for tea.